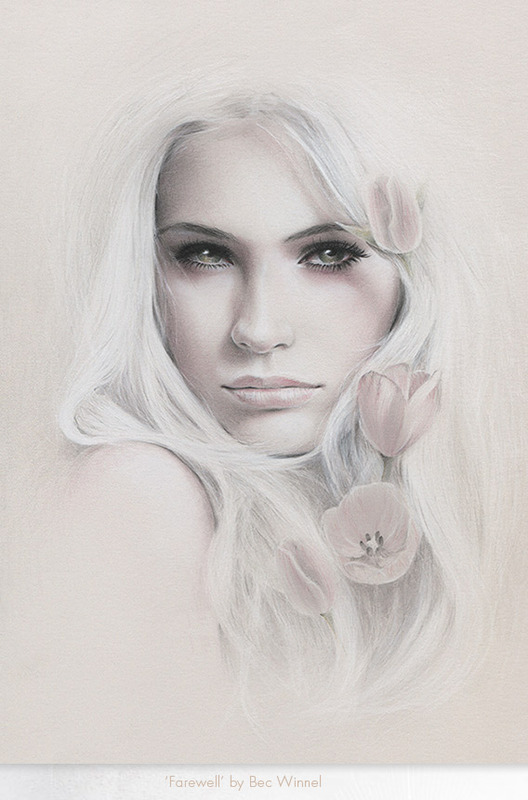 Bec Winnel is a self taught artist and illustrator with formal training in Graphic Design through Swinburne in Melbourne, where she now lives. 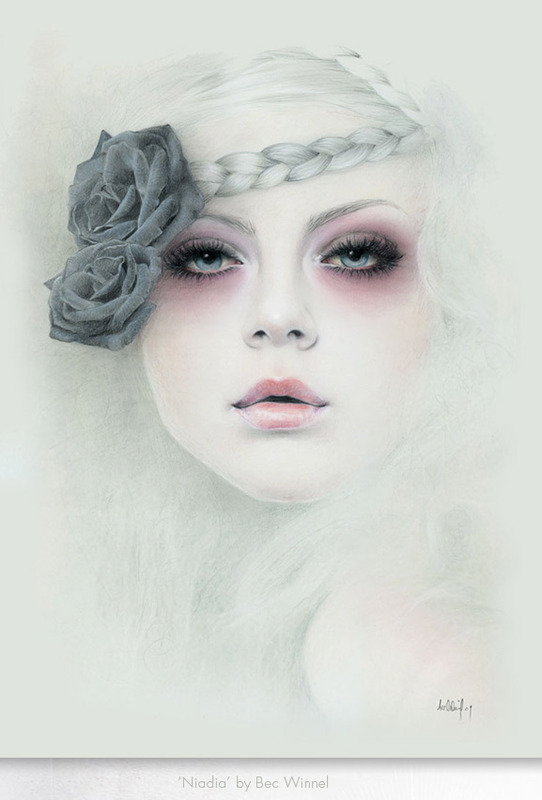 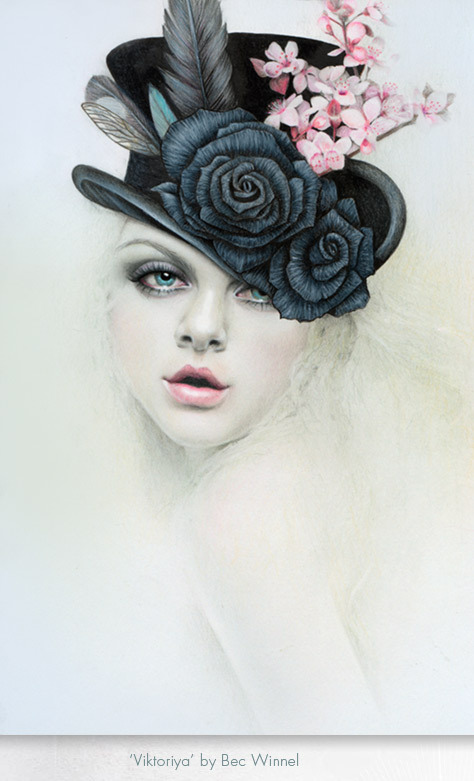 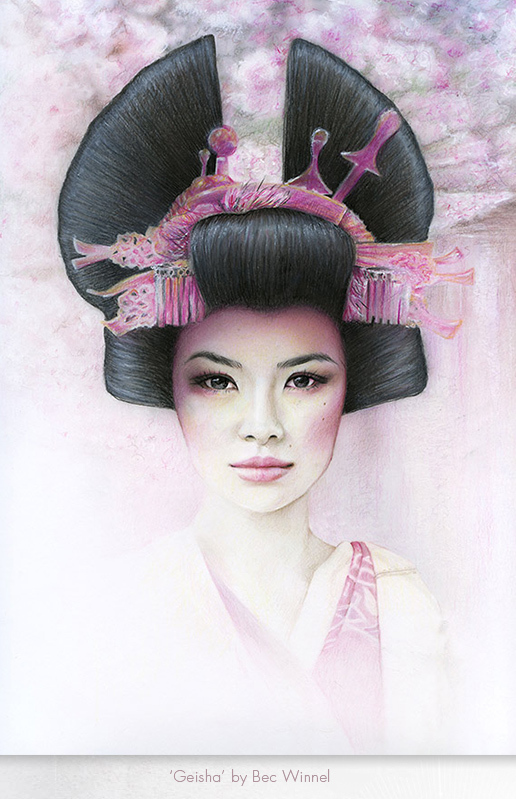 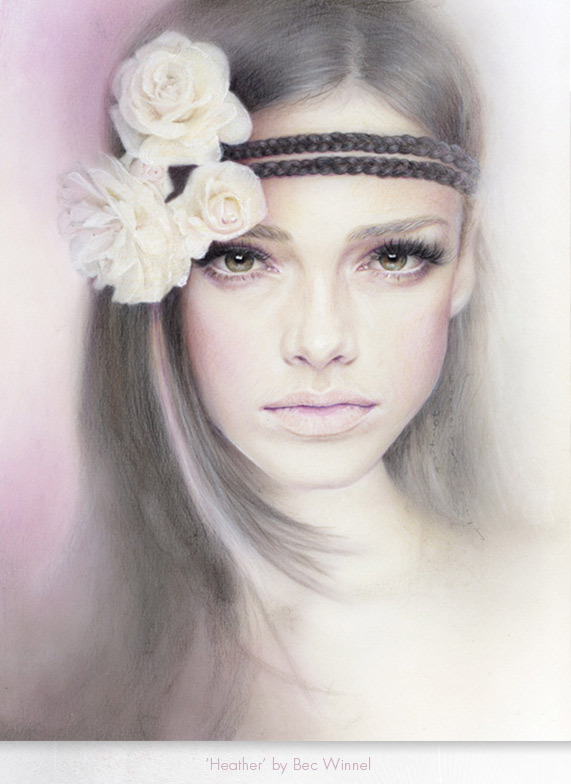 Her unique, delicate and soft portraits are dosed with sensuality and emotion, and created by blending layer upon layer of colour pencil, graphite and pastel. 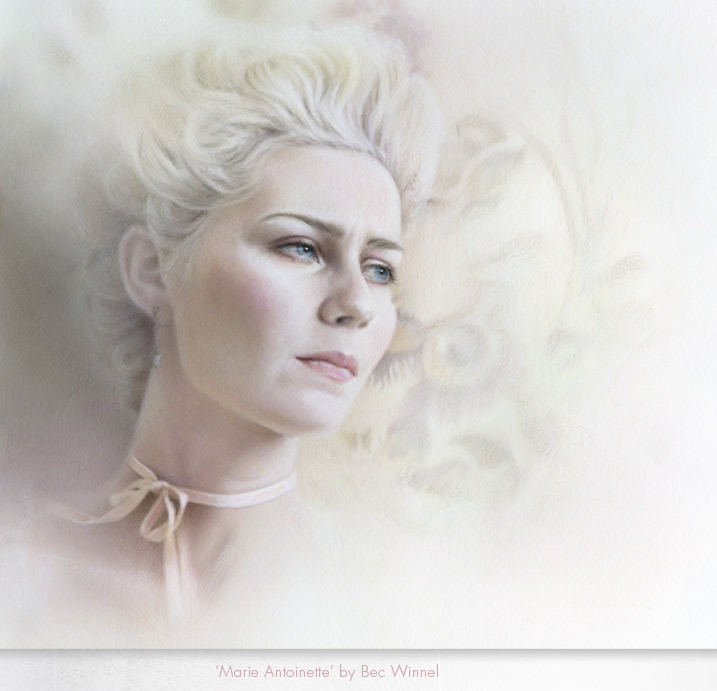 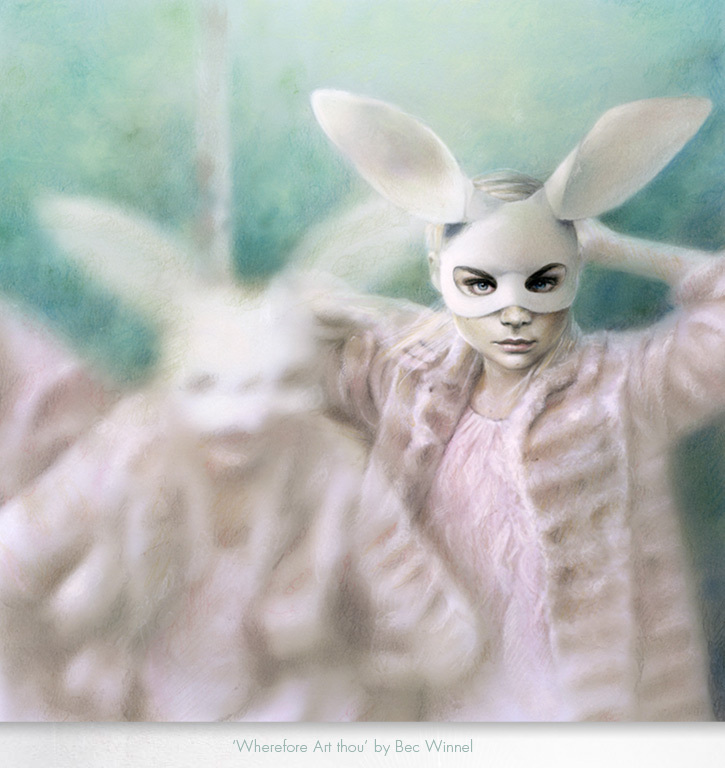 Winnel’s artworks has been described as reminiscent of vintage Victorian postcards and like melancholy souls staring out at you through disguised, beautiful faces. 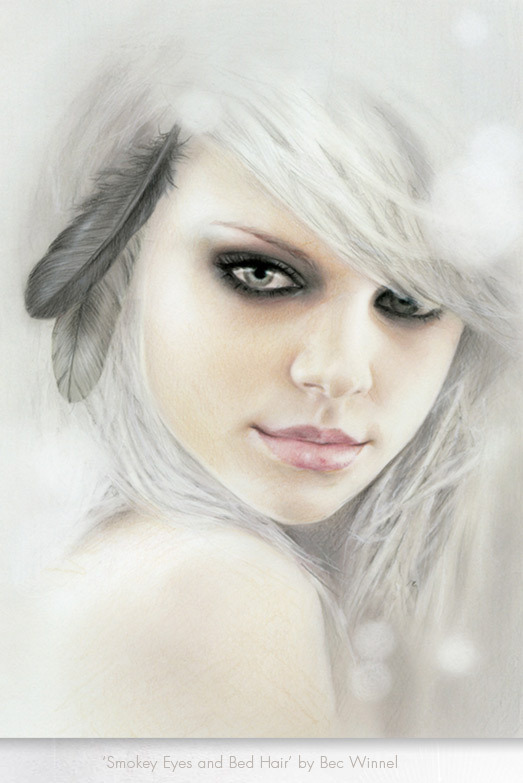 Her subjects are mostly portraits of young women, frequently accompanied by elements of nature and a bygone era.